When it comes to environmental performance, Scandinavian countries are usually world leaders. And the so-called water-energy nexus is no exception. “The Danish story on water is actually a fairy tale,” said Katrine Rafn, director for water resources at the Danish environment ministry. Over the last 30 years, she said Denmark has “succeeded in cracking the code” when it comes to combining economic growth with energy-efficient water management. 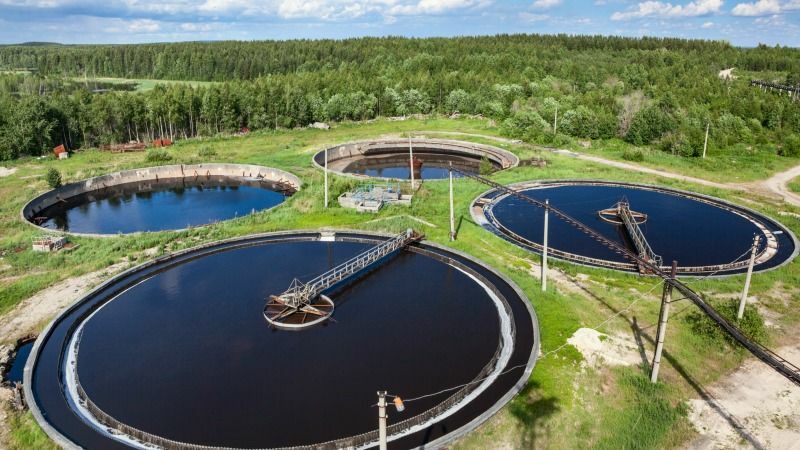 “The secret code is a spicy mix of policy development, intelligent regulation and technological innovation” involving cooperation between public authorities, private sector and water utilities, she told policymakers at a EURACTIV event last December. Energy production can be water-intensive. It is used in power generation, primarily for cooling thermal and nuclear power plants, but also in biofuels production and to clean up solar panels in concentrated solar power plants. The International Energy Agency recently turned the spotlight on the water-energy nexus. In its latest World Energy Outlook, released on 16 November, it said almost all of the weaknesses in the global energy system – whether related to energy access, energy security or the response to climate change –, can be exacerbated by changes in water availability. “The water business uses a lot of energy – about 4% of all the electricity on the planet,” said Mads Warming, global director for water and wastewater at Danfoss, a Danish engineering company, which supported the EURACTIV event. That figure is expected to double by 2040 if no action is taken, the IEA report said. “What we have shown is that it is possible to bring that down to zero,” Warming told the conference. Denmark started realising in the 1970s and early ’80s that something needed to be done to make water management less energy-intensive. Back then, Denmark suffered from over-extraction of groundwater, pollution from wastewater in rivers and coastal regions, as well as high water consumption and low efficiency, the Danish official said. Since then, Denmark has managed to reduce water use down to 107 litres per capita on average per day. In Copenhagen alone, consumption was reduced by 42% since 1985. And the industry has also succeeded, Rafn said. At utility level, leakage was reduced to 8% average across the nation. Aquifers from which groundwater is extracted have been mapped comprehensively, allowing to “gain control of the resource,” the official said. “We know where they are and how much they are so we can protect them from pollution and over-exploitation”. Reflecting a fundamental change in approach, Rafn said Danish authorities were now no longer referring to wastewater but to “resource water” instead. As a result, the Danish water sector only uses 1.8% of the nation’s total energy consumption. And the technologies are there to make the sector energy neutral “right now”, the Danish official stressed. The city of Aarhus, for instance, wants to make the water cycle energy neutral by 2020, said Lars Schröder, CEO of Aarhus Water who was speaking at the event. And other cities in Denmark have similar objectives. Asked why the rest of the world wasn’t copying the Danish example, Mads Warming from Danfoss replied: “People generally believe that everything is expensive in Denmark, including electricity.” But he swiftly refuted that claim, saying electricity prices were higher in Germany and the UK, double in Italy, and on level with prices seen in Brazil and China. “Does this sound too good to be true? Well, it can be done,” Rafn said, citing water pricing with “full cost recovery” as a driver behind the Danish success story. “The water price includes the entire water cycle, including investments in new technology,” Rafn pointed out, saying Denmark introduced a penalty tax on water utilities as an incentive to stay below the 10% leakage mark. As the UN marks the anniversary of the decision to make the right to water legally binding, the European Environment Agency has called for governments to charge the full price for water, to cut down waste. Pavel Misiga, head of unit at for clean water at the European Commission’s environmental directorate, said the water and energy sectors were facing “similar problems” and “the same market failures”. He reminded that EU regulators have not been standing idle on water issues, citing the Urban Wastewater Treatment Directive, first adopted 1991, and the Water Framework Directive, in place since 2000, which introduced water pricing as a policy tool at European level. But he said “we are still not implementing this legislation across Europe,” citing lack of investment as one of the reasons. The European Investment Bank (EIB) estimates investment needs at around €90 billion, Misiga pointed out. As a result, environmental objectives are often not met and citizens do not enjoy the level of service they expect, the EU official said. Water is also “creating enormous public debt” for European countries Misiga added, saying those figures do not currently show in national accounts. “But in the future, it will have to be addressed,” he said. Another idea currently being implemented in Denmark is a benchmark on environmental indicators to complement those already in place for the economic efficiency of the water sector. “And I say, why don’t we have a European benchmark so you can check how well the member states are doing and learn from each other,” she said. The Chinese have learned from the Danish experience, Rafn pointed out, saying Beijing had introduced a target to limit water losses to 10%. “If the Chinese can do it, we can do it as well,” Rafn said. The numerous exemptions allowed from the Union’s Water Framework Directive (WFD) are jeopardising the legislation’s ‘good water status’ objective, warned a law professor speaking at a water management conference last week. Pavel Misiga cited the revision of the WFD in 2019 as an opportunity to consider new EU-wide objectives or benchmarks. But he warned there may be “political difficulties” in reaching agreement at European level, recommending “softer tools” such as improved access to finance, and “de-risking” investments in water management technologies. “The problem with a universal benchmark or target is that we have huge differences in Europe,” Misiga stressed, contrasting countries like Denmark or Germany where water losses amount to only 6% and municipalities in Romania where losses can reach 40%. “So we may not be able to agree,” Misiga warned, advocating a softer approach. “And for that, we don’t need to wait for new legislation,” he said, encouraging cities to tap into the European Fund for Strategic Investment (EFSI) – the so-called Juncker fund – to invest in water and energy projects. In any case, the International Energy Agency underlined the urgency of tackling the water-energy nexus, saying the cost of inaction will eventually skyrocket. “We don’t have time to wait,” said Kamel Ben Naceur, IEA director for Technology and Outlooks. “If we don’t do it now, the system to do it afterwards will be much more expensive. And if we don’t do it at all, the cost of adaptation will be much more expensive,” he warned. While admitting that replicating the Danish example “would be somehow complex” because of the wide national differences, Ben Naceur also underlined the huge economic benefits of addressing wastewater collection and treatment in European municipalities. EU water policies comprise a large body of legislation covering areas as diverse as flood management, bathing-water quality, chemicals in water, clean drinking water, groundwater protection and urban waste water. The EU Water Framework Directive (WFD), adopted in 2000, was introduced to streamline the EU's large body of water legislation into one over-arching strategy. The EU Water Framework Directive called for member states to create incentives for efficient water use by 2010. However, it is unclear whether this has, in fact, resulted in any change in national policies, the European Environment Agency says. Water use by sector varies across the European Union – with agriculture the main consumer of freshwater in more arid regions, while energy, home and industrial consumption lead in damper climates. Overall, households, business, hospitals and offices account for 20% of water use, according to a May 2012 report by the European Environmental Agency. Of that, flushing toilets consumes nearly one-third of water, but there are also big losses due to leakage from old pipes, commodes or public water supplies. Calls for efficiency measures are growing, and not just from policymakers. Leading water-consuming industries, including beverage and food manufacturers, are taking steps to improve efficiency to cut costs, as concerns about supply security mount. EU figures show that while much of Europe has ample freshwater, parts of Spain, France, Italy, Britain, Belgium and the Baltic states, along with much of Cyprus, have faced stress or extreme stress in recent years – with demand exceeding supply. Is this really an annual consumption figure? In the UK average daily consumption for an individual is approximately 150 litres, according to the Consumer Council for Water website. Sorry, I must be misunderstanding something. This works out at just under a third of a litre per day. I use more than that for morning coffee. I think you may find 107 litres per capita is an average per day not per year. Websites such as Europa & State of Green support this. DANVA reports (“Water in figures 2015” ) that in the last 10 years, Danish households have used 15% less water, corresponding to an average individual rate of 38.8 m3 per year or 106 litres per day. Household consumption accounts for 64% of total amount of water sold. Well spotted gentlemen, article has now been updated. Thanks for your contribution.